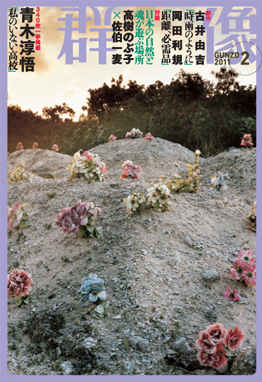 Gunzo is a monthly literature magazine which was founded in 1946 with the aim of publishing the best of contemporary literature without favoring any particular style or genre. 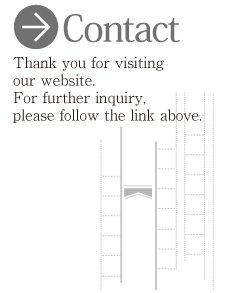 It is published by Kodansha, one of the largest publishers in Japan, established in 1909. 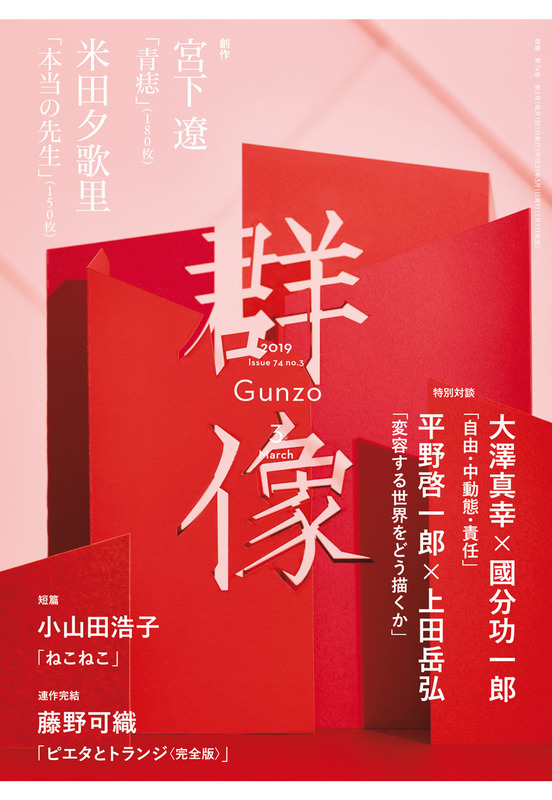 Gunzo has published the most eminent names in modern Japanese literature, including Nobel Laureates Yasunari Kawabata and Kenzaburo Oe, and other literary luminaries such as Junichiro Tanizaki, Yukio Mishima, and Kobo Abe, who are being read and reread in classrooms and homes throughout the world today. We also feature the latest works by many of the finest writers of our time. 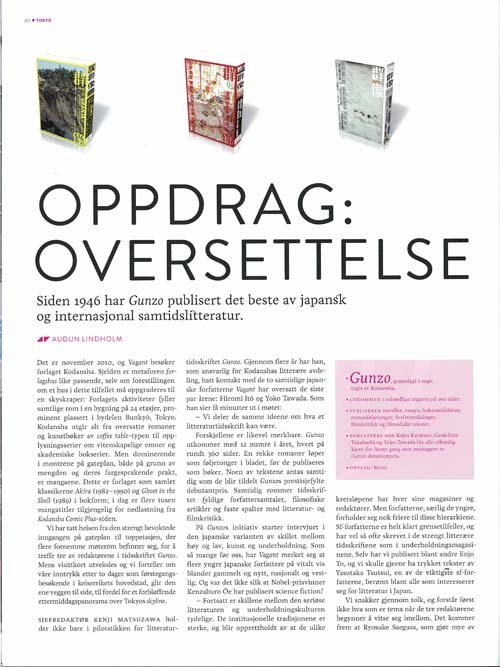 Norwegian Literature Magazine Vagant published an article about Gunzo. The interview was taken in Tokyo. We published GRANTA Editor, John Freeman's interview about our collaboration.